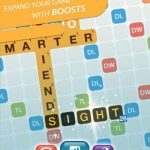 As you may have surmised, Words On Tour is made by Zynga, the same company that gave us Words with Friends all those years ago. But why is this iOS and Android game called Words On Tour? It’s simple – your goal is to find as many words as possible while going around the world. To help you in your quests, you’ll get to use some special tiles, but you’re also going to have to be careful, as not all those tiles may actually help you. And as usual, you can compete with your friends and try to beat their position on the leaderboard. You probably won’t be able to do that if you can’t get past the easy levels and ace them with three-star ratings, so here we have some excellent Words On Tour cheats and tips for more success in clearing levels and hitting three stars. 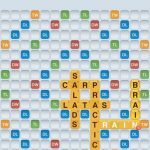 Just like long matches give you power-ups or special pieces in Match 3 games, long words on Words On Tour will help you more, as they help you complete levels faster. Of course, you may be left with no choice at times but to form two- or three-letter words, so if that’s the case, bite the bullet. Still, the rule of thumb in here is simple – the longer the word, the better. Which means you should take your time when trying to ace a level. Words On Tour’s main objective is for you to clear as many words as possible, so that’s the only thing you should focus on. 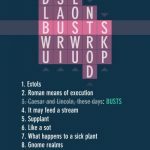 Look for long and/or challenging words, keep in mind that you can form words either way, and most of all, don’t treat the game as a race against time when it really isn’t. In Words On Tour, you’ll see that there’s a bonus meter, and once that’s filled up, you’ll get a special character. Whether you’re forming a short word or a long word – the latter is better, of course – use that special character, as it could help you clear the longest line in the level, or give you a hard-to-find letter that will help you complete a phrase. As such, use these characters only when you really need them, as they won’t go away once you’ve earned them. Forming words around bricks or other forms of blockers in this game will be the best way to remove those obstacles as quickly as possible. 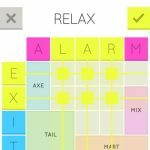 These obstacles ideally can be filled with letters, so if you’ve got the choice of forming a word anywhere on the board, you’ll want to choose the areas surrounding the blockers. This isn’t an actual tweak you can do on your phone, like the notorious time lapse cheat, but rather a website (wordsolver.net) that can form words out of up to any nine letters that you enter. So if you’ve got a lot of letters that don’t seem to have any words to form from them, plug them into the word solver and you’ll be set. Yes, it may be a bit unwieldy, but just to remind you, Words On Tour levels don’t have any time limits.